Observation - Red squirrel - UK and Ireland. Description: I knew I should have bought a squirrel proof feeder! 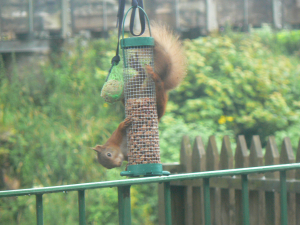 I knew I should have bought a squirrel proof feeder!